See the tallest building in Western Europe and let The View from The Shard astound you. You can see most of London’s landmarks from here, including The Tower of London and the EDF Energy London Eye. Buy tickets to The View from The Shard here! 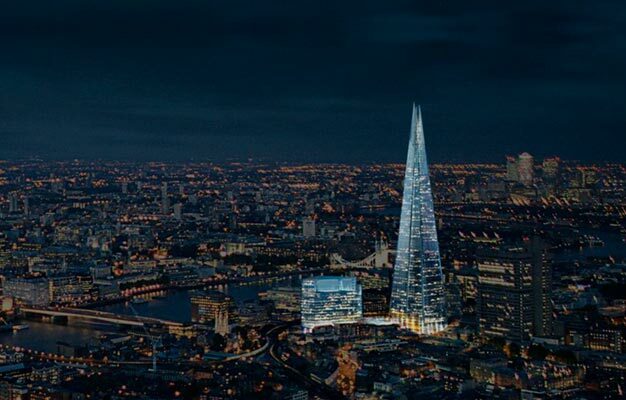 Enjoy the breath-taking 360- degree View from The Shard across London. The Shard is an iconic landmark building that redefines London’s skyline and is considered a dynamic symbol of London. From level 00 you will be drawn into the world of London as glimpses of this amazing city start to appear. Travelling upwards you will pause at the 68th floor 244m above one of the greatest cities in the world. You then continue on to level 69 where the astonishing 360-degree view stretches out before you and you can see most of London’s amazing new and old landmarks. Lastly, you will ascend to level 72, for the best view in town. From there you can look up and see the shards of glass that form the top of the skyscraper. - Your e-tickets will be sent to your e-mail address immediately after you have completed your reservation and your payment has been approved. -The View from The Shard is open for visitors from 09:00am to 10:00pm (last admission is at 8:30pm). - Children aged 4-15 years qualify for Child tickets. They must always be accompanied by an adult.